Experience the best of luxury beauty at Sephora! 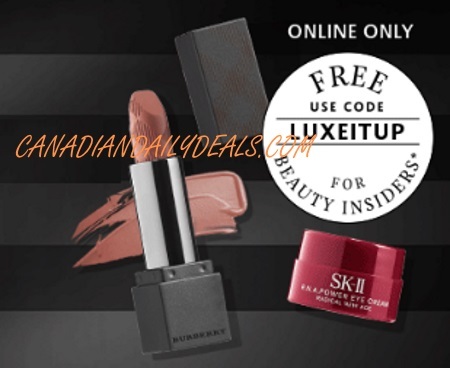 Get a Deluxe Free Sample from Burberry or SKII with any $35 online order. Please not the higher than normal minimum on this since it's a luxury sample. Enter the promo code LUXEITUP at checkout. Offer is valid online only for a limited time.